With our oldest two in college in Chattanooga for the last six years (and counting), we have gotten to know the city very, very, very well. Two hours from both Atlanta and Nashville, Chattanooga is one of the most family-friendly places I’ve ever visited. Spend a weekend here with your kids and you’ll definitely want to come back for more. Read this list and I bet you’ll agree- This is the definitive list on what to do with your kids in Chattanooga. Cross the world’s longest walking bridge. Called “one of the finest examples of the Phoenix wrought-iron truss bridges that were build between 1884 and 1923,” the Walnut Street Bridge is now for pedestrians and bicyclists only — and it’s a must-do while in Chattanooga. It’s a great spot for pictures and it’s stroller-friendly! Just across the Tennessee River from the Aquarium is the North Shore, easily accessible from the Walnut Street Bridge. It’s a funky little neighborhood of independently owned shops, and we never travel to Chattanooga without stopping there to browse. Our favorite stores include Clumpies Ice Cream (there’s always a line! ), Blue Skies gift shop (which is one of my favorite stores ANYWHERE and has amazing jewelry), Good Dog- a gourmet hot dog restaurants that’s one of the most popular places to eat in town, In-Town Gallery (a co-op gallery with amazing and affordable art), and the Winder Binder Gallery and Bookstore- a must-stop shopping experience for book and art lovers. Ride the Coolidge Park Carousel. Don’t worry if it’s cold or rainy outside- This historic carousel, built in 1894, is indoors! It’s a great reward for the kids (and the adults) after crossing the Walnut Street Bridge or shopping on the North Shore. Splash in the Coolidge Park Interactive Play Fountains. This has to be my favorite splash fountain anywhere. If it’s even remotely warm enough, we always make a stop at the fountains at Coolidge Park and let the kids play for a while. Great fun- and great pictures! Younger children will have a blast inside the Creative Discovery Museum (best for children 8 and under). Considered one of the best children’s museums in the country, your kids can experience hands-on exhibits, art lessons, science demonstrations, animal petting, and traveling exhibits that change every couple of months. Located in downtown Chattanooga, the only drawback is parking, which can be difficult to find- the museum’s lot fills up fast. Take a few rides down the Renaissance Park’s Cardboard Sledding Hill. “Sledding” down this hill at Renaissance Park on the North Shore is a total local thang- but your kids will love it. As you can see, we’re nerds and we actually brought our plastic sleds for the occasion! They worked just great. You will ALWAYS see plenty of people sledding here on any decent weather day. Address: 100 Manufacturer’s Road. Take a ride back in time on the Tennessee Valley Railroad. The Tennessee Valley Railroad’s carefully preserved trains run on historic routes that take riders back to a time when railroads were the main method of long-distance travel for most Americans. Choose from one of several excursions and special events offered by the TVR and experience what’s referred to as a “museum on wheels.” Kids love the experience- and so do their parents! Spend the day at the Tennessee Aquarium. This is really a must-do experience if you’re visiting Chattanooga with kids. Housed in two separate buildings (freshwater and saltwater), the Tennessee Aquarium is filled with fascinating exhibits featuring 10,000 animals including penguins, river otters, jellyfish, seahorses, butterflies, macaws, sharks and much more. It’s highly interactive and very kid-friendly. Let the kids blow off steam in Aquarium Plaza. Sure, the aquarium is great, but if you don’t have a day to spend there- or a whole lot of money- playing in the plaza outside the aquarium is equally fun for kids. There, you’ll find an interactive system of wading pools, elevated walkways, river overlooks and historical markings. It’s a great way to beat the heat downtown on a hot day. Watch an IMAX 3D movie. See one of several made-for-IMAX movies playing at downtown Chattanooga’s 3D IMAX theater, which features a screen that’s six stories tall! Not only will they thrill your children, they’re also educational! Ride on the Chattanooga Ducks. ‘Ducks’ are what these amphibious tour buses are called- Take your kids on a one hour Chattanooga Ducks tour and I guarantee they’ll think you’re the coolest person on the planet. 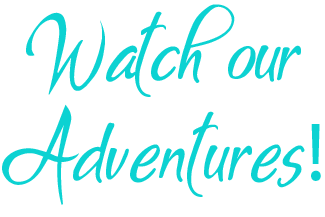 Tours begin with a narrated tour of downtown Chattanooga, then head into the Tennessee River for views of Chattanooga’s riverfront and Maclellan Island. My kids’ favorite part was when they got to take turns driving the Duck themselves! Be awed by Ruby Falls. Minutes from downtown, this 145-foot underground waterfall is deep inside Lookout Mountain, and it’s worth seeing for yourself. The one-hour tour isn’t too long for kids and lights and music make the waterfall even more spectacular. Drive to the top of Lookout Mountain and enjoy the amazing view. Keep going past the Ruby Falls turn-off and you’ll reach the top of Lookout Mountain, where you’ll find a breathtaking village of beautiful homes and find a well-marked short path leading to Sunset Rock, which overlooks… well, a LOT. This is a perfect spot for pictures- Just don’t get too close to the edge! Enjoy fine dining- with kids!- at Public House. I was thrilled to discover that Public House, my favorite restaurant in Chattanooga, has an awesome kids menu with a first course, main plate and dessert for six dollars. That makes this beautiful restaurant on Warehouse Row even more special. The servers at Public House take great pride in telling your where everything on your plate came from, from the meat and seafood to the vegetables- It’s a foodie’s paradise AND it’s kid friendly. What’s not to love? And if you’re not with kids, The Social bar next door is one awesome local hotspot. Don’t miss the Chattanooga Farmers Market. Located inside the Tennessee Pavillion (1824 Carter Street), Chattanooga has one of the best farmer’s markets I’ve ever visited (and we’ve been to a lot, y’all). In addition to local fruits and vegetables, eggs, meats, cheeses and breads, you’ll also find plenty of arts and crafts. There’s really something for everyone here and plenty of parking and we hit the Farmers Market nearly every time we visit the city. Look for the loaves of pretzel bread if you go- They’re delicious and sell out fast! The Market is open Wednesdays from 4pm-7pm and Sundays from 11am to 4pm. Rock City is so much more than a stunning overlook, which allows you to see seven states at once. You’ll feel like you’ve entered the most charming storybook garden gnome village you could possibly imagine. Plant and flower-covered paths wind in and out of the rock formations. Attractions include the Enchanted Trail, Fairyland Caverns, and Mother Goose Village. You’ll see a lovely waterfall, cross a 180-foot-long swinging suspension bridge, and make your way through the very narrow ‘Fat Man’s Squeeze.’ It’s a child’s (and adult’s) kitschy paradise and totally worth the cost of admission. Read my full post with all the details on Rock City here. Involve the kids in an Outdoor Art Scavenger Hunt. Chattanooga has a crazy amount of outdoor art and sculptures- You’ll see something literally everywhere you turn, and I’m pretty sure I have a photo with the kids (at their insistence) at nearly every single statue and art installation we’ve ever come across. A great way to get your kids to take notice of their creative surroundings is to have them hunt for various sculptures around town as you’re seeing the sights. Spend an hour or two browsing at McKay Used Books. We’re lucky enough to have a McKay Used Books in Nashville, so I can tell you with confidence that barring Powell’s in Portland, Oregon, McKay is the most awesome used bookstore in the country. It’s a warehouse-sized building filled with thousands of books, CDs, video games, and movies and you never know what kinds of great deals you’ll find here. LOVE. Chattanooga’s McKay is located at 7734 Lee Hwy. Have a delicious breakfast (or decadent snack) at Julie Darling Donuts. With donut flavors like Banana Pudding, Chocolate Cheesecake, Orange Crush and Maple Bacon, you are in for a delectable treat. Julie Darling Donuts is on the North Shore, so you can always work it in as a bribe for the kids to behave themselves while you shop. Spend a night on the Chattanooga Choo Choo. Did you know you can actually sleep inside cars from the original Chattanooga Choo Choo? You can- and it’s totally worth the extra money. The rooms are spacious and comfortable- We parents slept in a queen sized bed and the kids slept on a daybed and trundle that was more than adequate and gave them each separate beds- We loved the experience. Do note that I do NOT recommend staying in a regular room at the Chattanooga Choo Choo Hotel. We tried it once and… never again. There are much nicer hotels downtown that you can Priceline (go with 3 1/2 star-only hotels and you can’t go wrong) for the same price. Enjoy delicious hot chocolate and house-made macarons at The Hot Chocolatier. I don’t think we’ve ever been to Chattanooga without at least one stop to The Hot Chocolatier, which features several flavors of delectable gourmet hot chocolate and to-die-for artisan chocolate candies. The Hot Chocolatier has recently moved to 1437 Market Street, right across the street from The Chattanooga Choo-Choo, and it should re-open any day now. This is hands down our favorite restaurant in Chattanooga. Located in a flatiron building right beside the Chattanooga Choo Choo, the beer selection is extensive and the food is to-die-for. I’m crazy about the Philosopher’s Burger, described as “ground lamb seasoned with cinnamon, oregano, shallots, and sea salt served with feta aioli and candied red onions.” Dennis loves the Wild and Crazy Mushroom Soup, made with local mushrooms. Whatever you order, it’s bound to be awesome. Spend a night on the Delta Queen. If sleeping in a train car isn’t your thing, how about bedding down on a historic river boat? Yes, people- THIS IS A HOTEL, right in the middle of downtown Chattanooga! You can choose an uber-luxurious Captains Quarter room, or an old-fashioned crew member’s bunk- or opt for something in between. Whatever you choose, it’ll be a night you won’t forget. Note: You might want to make this a one-night-stand, just for the experience. While it’s clean and most travelers really enjoy the unique experience, it’s not exactly the most comfortable, spacious hotel in town! Enjoy coffee and shopping in the Bluff View Art District. This is definitely my favorite Chattanooga neighborhood. You’ll feel like you’re in a European village in the Bluff View Art District, which features several restaurants, an the River View Gallery (a must-see featuring work from local artists), a beautiful bed and breakfast, and our favorite coffee shop in Chattanooga- Rembrandts. Be sure to stop there for pastries for the kids and a hot (or cold) beverage. It’s a great breakfast or lunch spot. A short walk from the Bluff View Art District is the Hunter Museum, which specializes in American art from the Colonial period to today. Built atop an 80-foot bluff overlooking the Tennessee River, it’s a great place to introduce older children to American artists like George Segal, Andy Warhol, Childe Hassam, and many more. Tour the Racoon Mountain Caverns. Visitors with kids rave about the 45-minute Crystal Palace Tour with knowledgeable guides who take guests through the cave at a leisurely pace, while more adventurous adults love the Wild Cave Tours. Raccoon Mountain Caverns is Tennessee’s best cave system, with 5 1/2 miles of explored pathways, and the caves are open every day except Thanksgiving and Christmas. As an added bonus, kids will enjoy panning for gemstones and arrowheads after the cave tour. Take a wet walk down the stairs of The Passage. The Passage, a pedestrian link between downtown Chattanooga and the Tennessee River, commemorates the start of the Trail of Tears, and includes symbols of the seven clans of the Cherokee Nation. Seven ceramic disks tell the Cherokee story, while a weeping wall symbolizes the tears shed when thousands of Cherokees were forced to leave their homes, walking from Ross’s Landing in Chattanooga to Oklahoma. While your children splash in the water, you can take the opportunity to teach them about one of the most tragic moments in our country’s history. Learn about nature and local history on a River Gorge Cruise. Y’all, this isn’t your average cruise. Up to 70 passengers can ride on this high-speed catamaran that cost nearly three million dollars to build. You’ll ride downstream into ‘Tennessee’s Grand Canyon,’ the Tennessee River Gorge, while a Tennessee Aquarium naturalist tells you all about the regions history and natural features. This two-hour tour gets rave reviews from passengers, who call it fascinating and exhilarating. Take High Tea at the English Rose. Every time we pass the English Rose in downtown Chattanooga, this authentic British tea room is packed. It gets rave reviews and I’m dying to visit. In addition to offering two different full high tea menus, the English Rose also offers British staples like Banger on a Crusty Roll, crumpets, and baked beans on toast. This historic Chattanooga attraction gets mixed reviews, only because of the price- $15 per person for a roundtrip ticket- and parking is extra! The price is what’s stopped our family of 6 from going. However, parents agree that kids LOVE the super-steep one-mile ride up Lookout Mountain, and the view from the top is spectacular. Got more tips on what to do with your kids in Chattanooga? Add them in the comments! Did you like this post? 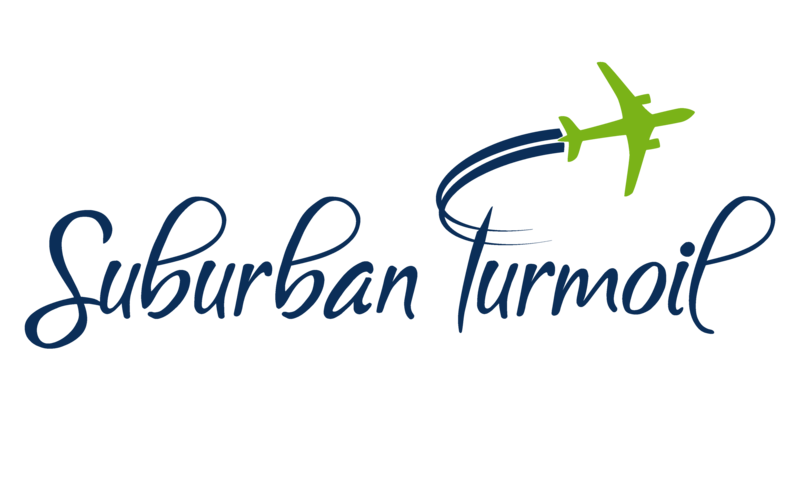 Be sure and follow Suburban Turmoil on Facebook and Twitter to stay up to date on all of my posts!